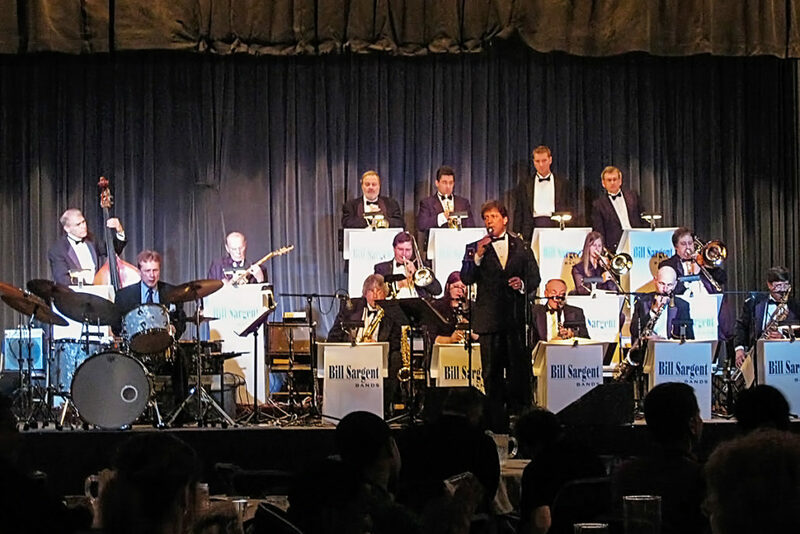 Entertainment from Milwaukee’s premium band, Bill Sargent’s Really Big Band, is designed for when only the VERY BEST will do. This is the PREMIUM version of our Big Band with 1 more trumpet, 2 more trombones, and 1 more sax to give you the ultimate big band sound and experience. This Really Big Band does everything our famous standard big band does, but with a slightly richer sound, fuller texture, and more complete harmonies. A band with true depth – both in sound and experience. Musical styles include Swing, Jazz, and Classic Big Band. Classic Rock & Pop hits. Variety and Christian offerings. Entertainment by the very best premium-sized big band providing the ultimate in live music. Wisconsin’s best! Instrumentation: 4 trumpets, 4 trombones, 5 saxes, piano, guitar, bass, drums, and 2 vocalists – male & female.